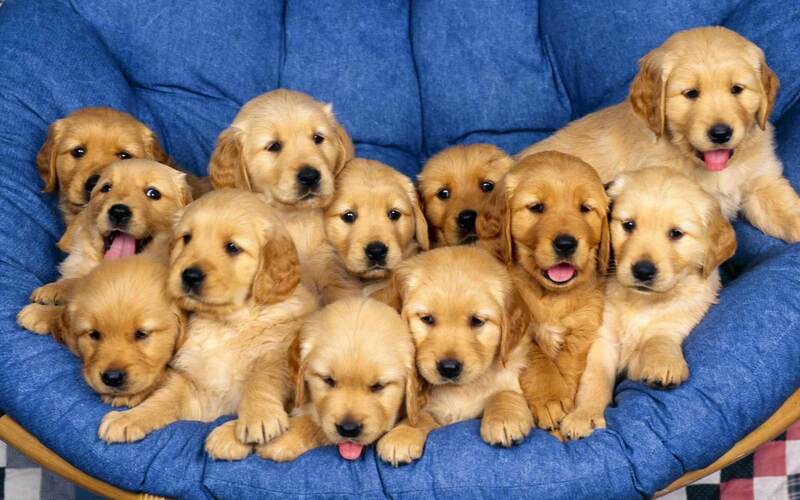 Owning a pet, especially a Golden Retriever is nothing less than adopting a baby. You will have to tend to it, look after it, feed it, bathe it, and get it checked for health issues regularly. Having said that, there is a lot of effort that goes into training and raising a Golden Retriever pup so that it matures into a well-behaved and smart adult dog. Below are given a few measures on how your life is bound to change when you get home a Golden Retriever pup. You need to consider these things and be very comfortable with these changes if you are going to adopt one. Plan a budget beforehand. True that your dog will need more supplies like food, own shelter, and training expenses. But don’t let it go beyond your financial limits. Provide your dog with the best you can while staying not going overboard with the expenses. but a waste if you don’t train them well, and don’t have them performing at their optimum best. Having said that, you can either choose to house-train them or allow a professional to do the task at an institute for dog-training. You can decide this based on your dog’s individual characteristics and your financial preferences. Golden Retrievers tend to learn better at institutes where they have multiple dos around them going through the same training. It also gives them a chance to socialize outside of their comfort zone. Golden Retrievers are calm and poised by nature. They are kind and polite to even strangers and this is why they don’t make good watchdogs or guard-dogs. However, since they are quite intelligent in learning new skills and picking up good habits, they are perfect as assistants for children or blind people to do mundane tasks like leading the way. If you are getting home a Golden Retriever with the intention of having it guard your home, then please don’t. they are better at being playmates and stress busters and a companion to be around with you at all times, and not watchdogs. Golden Retrievers are pretty much soft and sweet like kids. One of their many traits is that they love playing with water, swimming, and bathing. They are always on the lookout for more opportunities to play and goof around with other dogs or people nearby. Also, they love eating and chewing. So, you better be prepared to have bite marks on generic stuff in and around your house. Having said that, they are quite fun to be around and are also extensively used in therapy for soothing and calming anxious and stressful people. They will make you run around all day, and hence, get a golden retriever only if you are comfortable putting up with all these habits of one. interaction with mortal beings is not minimum. Considering adopting or buying a Golden Retriever only if you have someone at home at all times to tend to them. They tend to get sick, agitated, or depressed if left alone for long. If you and your family are too busy as people, it would be best to not get home a Golden Retriever pup in the first place. The above-mentioned aspects are pretty much everything you need to consider before you bring home a Golden Retriever pup. True that you may expect certain things of your dog when you get one home. But with Golden Retrievers, situations can get a little different. This article is meant to give you an insight into how your life will look like once you have a beautiful and joyous bunch of fur home which adds immense value to your life. Treat them like an important member, and your Golden Retriever will be part of your family in no time.